Tofino is located on the west coast of Vancouver Island. The Operations site was situated on what is now referred to as "Radar Hill", some six miles southeast of Tofino. The domestic site was located at the airport which is an additional four miles southeast. 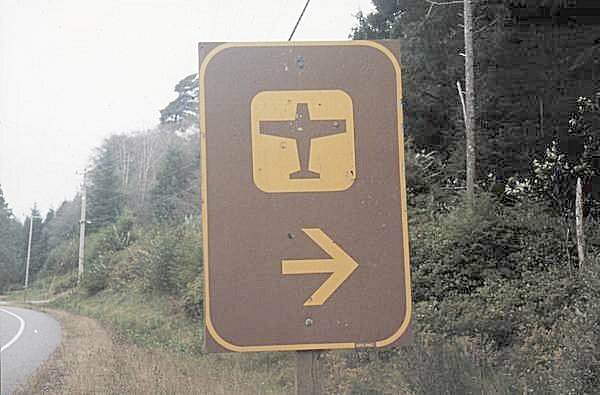 Driving towards Tofino from Port Alberni on highway #4 (the old Tofino/Ucluelet road - which is now paved) you will see a sign indicating the Tofino airport. Continue a short 0.1 km down the highway to an intersection - which turns right. 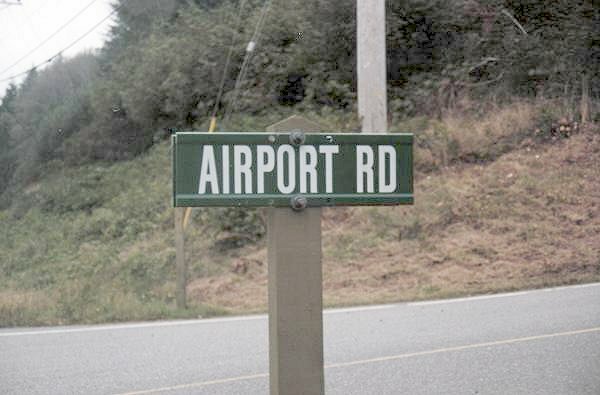 Make a right hand turn at Airport Road and proceed towards the Tofino airport. You will soon notice a large sign (possibly partially hidden behind weeds and shrubs etc.) 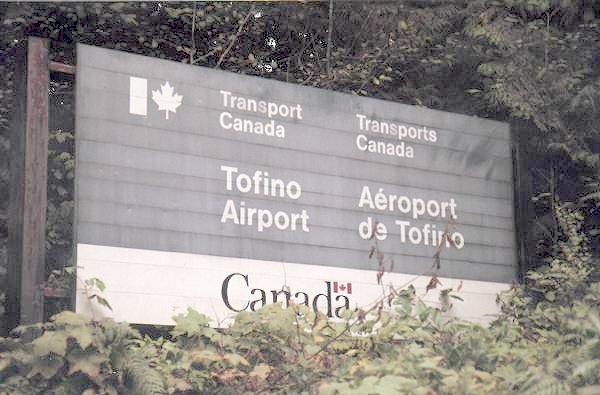 on the right hand side that indicates "Transport Canada - Tofino Airport". It is in this area that the road turns to gravel. 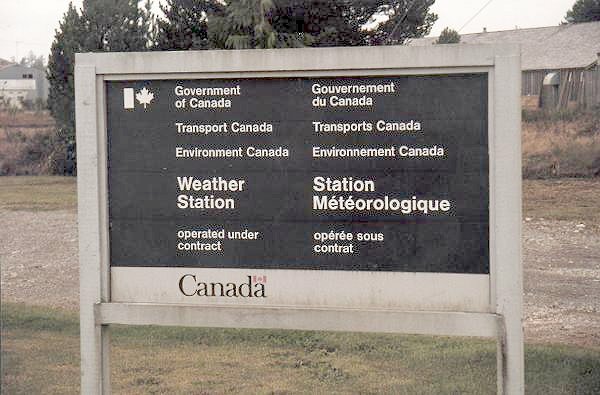 You will reach the Transport Canada Weather Station in less than 2 km. The remains of the Domestic site are scattered in this general area. 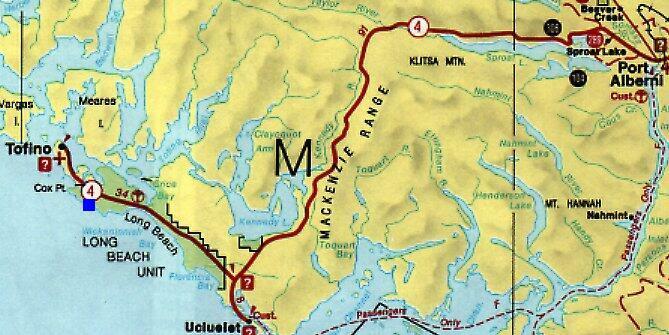 Backtracking to highway #4, make a right hand turn (towards Tofino) and continue for an estimated 2.5 km when you will see signs indicating "Radar Hill". Make a left hand turn at this intersection and continue a further 1.5 km to the remains of the Operations site. Map 3 is courtesy Energy Mines and Resources Canada. Used with permission.